We were underwater with our condo and did not have time to find a renter that could meet our bottom line. Not only did Joe and his team find a renter within 2 weeks of listing our property, they also facilitated the painting and cleaning of the home for a very reasonable price and the work was fantastic. MPLS RENT has successfully rented our place with no lag time for the past 5 years. 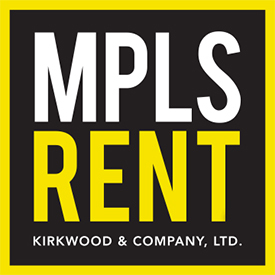 I would recommend MPLS Rent to anyone who needs their property rented, managed, or sold. Solid, honest, hard working and delivers results are a few words I would use to describe the team. I can't sing their praises enough. We had used one other service before Joe and I won't use anyone different since. Thank you very much. I was completely blown away with MPLS RENT and their super friendly team. I don't know where to start...I was so overwhelmed trying to find a new home in just 3.5 weeks. Maggie really surprised me by taking the time and driving me to several amazing buildings that I didn't even know existed. We were able to see lofts and condos that were privately owned and some unbelievable, new apartment buildings with killer rooftops! She made my decision making so easy, from number-crunching everything–making it very clear what I'd be spending at each building option, to the time saving factor - I didn't have to spend weeks looking on my own, we got it all done in a couple hours as she had taken the time upfront to make sure we were only visiting building options that fit within my rental criteria. "As a property owner, it can be risky and difficult finding quality renters to put into a property. Joe has helped me find some great renters for my Minneapolis properties, and I have even developed some good relationships with them beyond our business relationship. I really appreciate MPLS RENT'S services to property owners. I have been able to put a lot of responsibility and trust in MPLS RENT relieving a lot of stress on my end." "I have lived in Minneapolis most of my life. I recently needed a change of place without a change of city. I found the MPLS RENT website (an awesome tool, by the way) and contacted Joe to help me find a place that fit my needs and budget. I felt very much at ease with him and the company. He listened to me and showed me several listings that were a good match for me. He was patient with my questions, and I could tell that he had a good relationship with the owners of the properties I was looking at and that he is very knowledgeable about Minneapolis. I cannot recommend their Minneapolis Property Management service enough!"